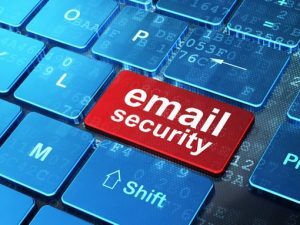 Email security is a necessary detail, especially when running a business. Hackers, viruses, and other data leakage can cause some severe issues. Reliable email security is easy and should not be overlooked. The idea that it only happens to other people is the quickest way to get sensitive files hacked and corrupted. It is always necessary to be prepared when it comes to the matter of security and the internet. Here are a few of the most simple email security tips for those who may not be in the know. Once a proper and secure email service is chosen, there are a couple of other choices that are essential to retaining safety online. When prompted to choose an original address, be creative. Addresses that contain numbers, letters, and other symbols make the job of a hacker much more challenging. Do the same when choosing a password. Passwords should be long and intricate. Creating a password as simple as the name of a pet will leave the login opened to malintent and could cause problems in the future. When people do all of their work, entertainment, and personal communication through one email address, it is the same as placing all their eggs in one basket. It is not a good practice, especially when dealing with sensitive information transfer. Open two or three different email accounts, and designate each address to one or two processes. Have one email designated for social media. Have one email address that is solely for business communication. It is crucial to understand the common red flags of phishing scams and spam. Any reputable company will never ask for sensitive personal information through an email. This should be one of the number one signs that there is a scam afoot. Phishing is a real threat through email. Malicious internet users have been known to build fake sites that closely imitate big named sites like eBay or Amazon, and then they send out emails asking for a username and password. The emails will explain some technical matter, and ask for this information to verify the account. Do not do it! There is no reason why these modern sites would need that information sent through a client email. It is a scam. Whenever an unknown email address sends an email containing any link, it probably is not a good idea to click on any of them. As a general rule, never click on an email link unless its origin is trusted and well-known. Spam links can lead directly to an array of malware and viruses.